‘Read On. Get On.’ have a mission to ensure that every child leaves primary school at 11 being able to read by the year 2025. It makes me sad to think that there are children out there that don’t know the glory of getting lost in a good book, of sneaking the light back on after they’ve been told to turn it off to read just one more chapter. 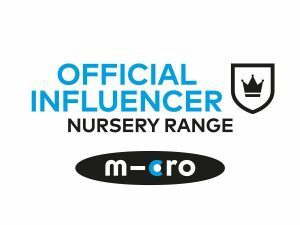 There are so many ways to start to develop language and reading skills, just asking your child about what they can see around them on a short trip to the shops for instance! There are lots of ideas on the Hints & Tips page to help. 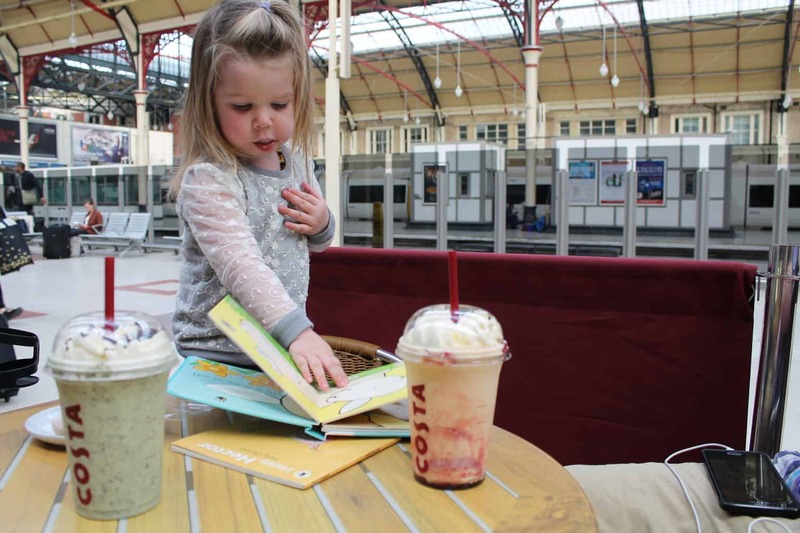 There are also some ‘Story Starters’ that you can use to get your child interested in communicating their thoughts and ideas with a spark of an idea, perfect for train journeys like the one we took after we enjoyed our drinks at Victoria Station in these photos! 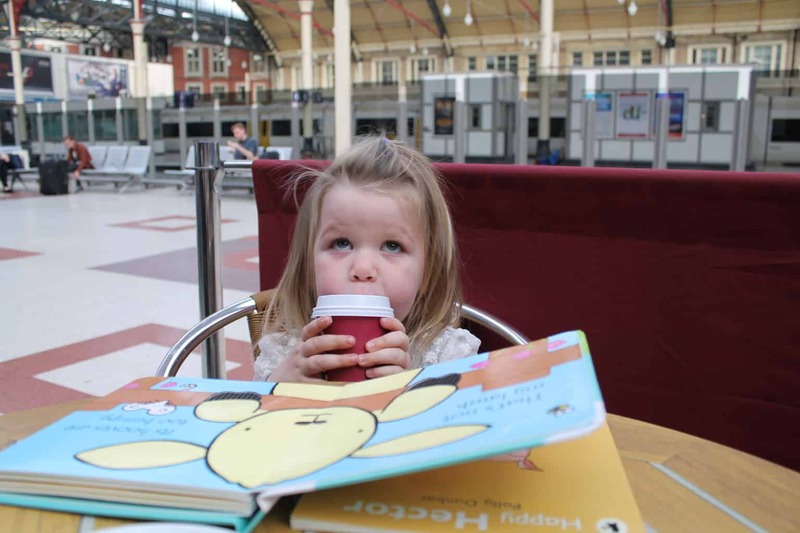 The Coffee Foundation was established by Costa with the aim of relieving poverty and advancing education around the world will be hosting Storytelling Workshops in stores around the country and they’ll be distributing the Story Starters at these workshops. Through supporting these workshops and the ‘born to read’ scheme Costa are really helping to change the future for children. Athena loved ‘That’s not my Sheep’ especially as she keeps encouraging Arlo to touch the tactile bits on each page, so it goes to show it’s never too early to start enjoying books!